Sometimes when we find Pictures incomplete we use Photoshop tools to make the amendments in the Picture. 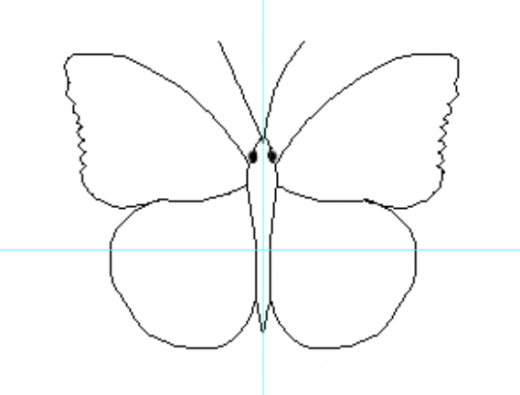 We add and delete objects as per our requirement we can get images or can create our own, here we are creating simple butterfly as an object which can be used in any image or in your website design or anywhere you like.. We find butterflies in different colours, shapes and sizes here we will learn how to draw butterfly in few simple easy steps, you can use your own colour combinations and size. 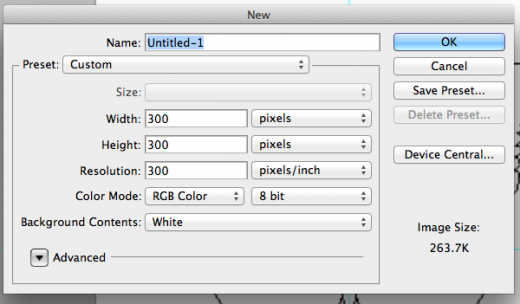 Click File>New and select height, width and resolution to 300. 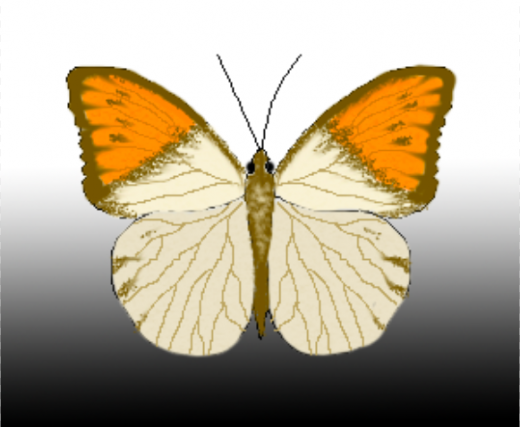 Create guide using View> New Guide, set horizontal and vertical to 50%. Pen tool helps in giving proper shape and make it easy for us to draw an object. 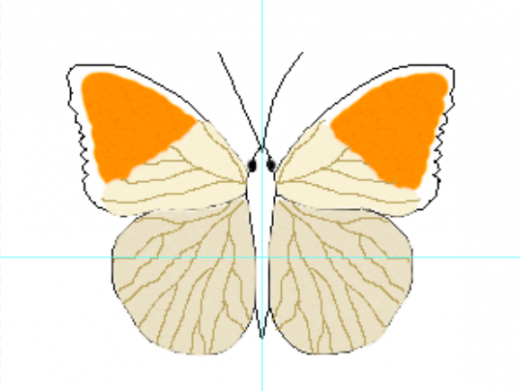 Here first of all draw thorax and abdomen of butterfly, using pen tool draw path, you will see work path in Paths, right click and select stoke path select pencil and click ok. 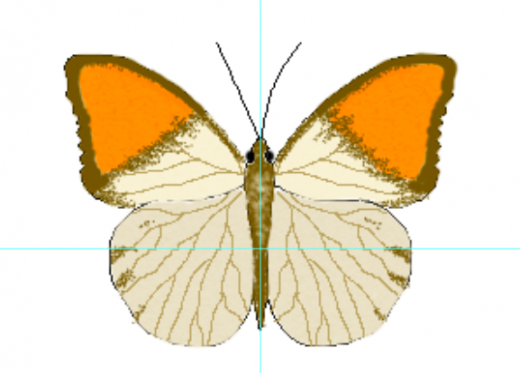 Similarly create one forewing and hindwing in new layer, duplicate layer and flip horizontal using transform path (click cmd + T, right click, select flip horizontal) use move tool to place the wings in right position. Draw eyes using brush tool of 5px. Next draw antennas free hand using pencil. Using hard brush stamp the colours in new layer like here we are using #fc5a01 for upper forewing, #f4e3b4 for lower part of forewing and #d6c79d for hindwing. Now we’ll go for some blending.. set watercolour pattern and blend mode to soft light. Using pencil draw veins on one side free hand with #bba467 colour selected. 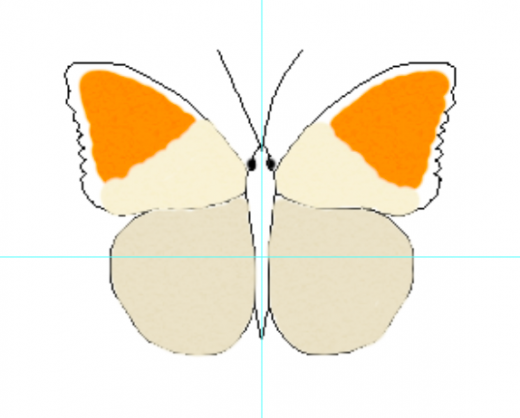 Create duplicate layer and flip horizontally and place on the opposite wing as done in step 2. Using #715404 colour and Assorted brushes 2 to 5px add shades to the wings. Scatter about 300% on both axis. Merge all layers and using smudge tool and hard brush selected mix the colours, give shades. 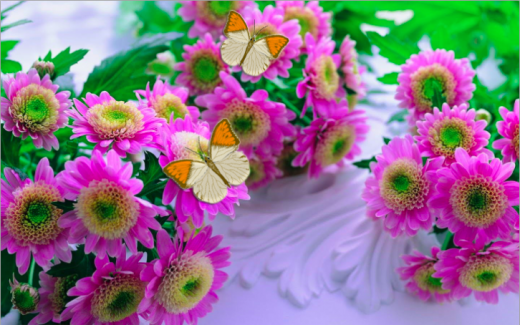 Now with the help of quick selection tool, we can select and move the object to other images… such as in the flower image below we have added our object. 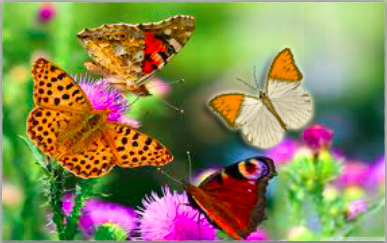 Similarly in the group of butterflies below… Can you find yours?